It’s the first day of December…time to let the countdown to Christmas officially begin! You know how I love a good countdown. I’ve crafted plenty of fun ways to count the days until holidays and events besides Christmas. Really, those are all based off the concept of the original countdown known as Advent. Christian tradition calls the four weeks leading up to Christmas Advent. Traditions vary quite a bit from culture to culture—in some, every day is marked as one less before Christmas, others measure the time a week at a time. Any way you do it, though, the concept is still the same: you are using something to help you count or mark the days leading up to Christmas. 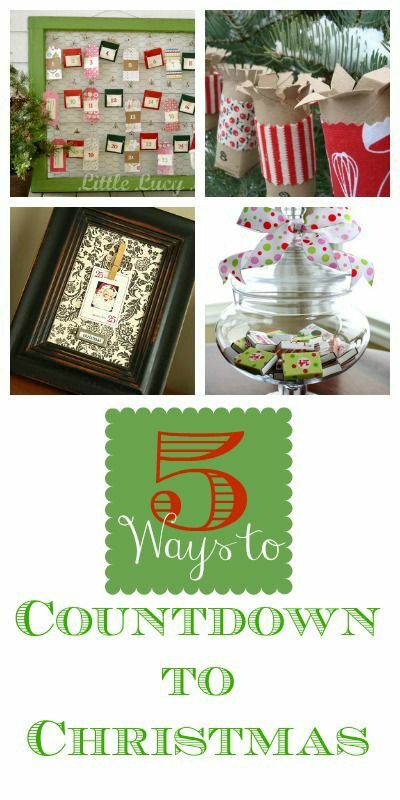 Today I’m sharing 5 ways to count and celebrate each of the 25 days before Christmas.